Yesterday I had a strange experience. People say strange things to me all the time regarding Scarlett. I have had people follow us through stores, cry at the sight of her happy self, ask nonstop questions. For a while, we had "drive-by prayings" - when she looked sick, with a caved-in head and a feeding tube up her nose, people would just walk by and offer prayers without saying a single other thing. None of this really bothers me; I completely understand the fascination with an unusual condition, and I am happy to be an advocate for Scarlett and her friends by explaining as much as I can. However, today it hit me in a completley different way. It was innocent. I was casually asked about my daughter. It came up that her birthday was coming, and I mentioned the blood drive. This led to the always-awkward question (always posed differently, but essentially the same): What's wrong with her? I gave the two sentence response, confirmed she is now doing well, and left it there. A minute later, in an effort to make conversation, this person began explaining that when she was pregnant, she had an amniocentesis, looking for any problems with her baby, and that if they had found anything, she would have terminated her pregnancy. I wasn't sure how to respond. I just nodded. But inside, it stopped me in my tracks. What exactly was the purpose of sharing her story? If she had found out her child was as sick as mine has been, she would have given up? If I had known Scarlett was going to be sick, I could have saved myself the trouble? I could not come up with an angle that made me feel better. I know she was just trying to make a connection to a medical issue with a baby. It's out of the ordinary, something that most people don't encounter, so I don't expect anyone to have a relateable story. However, to imply, even innocently, that there was a way around my child's condition, that maybe I could have avoided having her, was the first time I have ever felt offended. There's no right answer to what people should say to me. "I'm sorry" makes me instinctively reassure others; "That's too bad" seems such an understatement; "Poor baby" makes me immediately respond "No! She's doing well!". I don't want her to feel sorry for herself, and that means others not feeling sorry for her, either. Some days I want to talk about it a lot, sometimes I'd rather not, and I can't always predict what kind of day it will be until it comes up. I nearly always appreciate the effort, and I know that, even now, I don't always know what to say to someone in a similar situation. It has become the PC way to avoid discussing the pink or blue question when pregnant to say, "We don't care, as long as it's healthy." But what if it's not healthy? What if you do everything right and your baby is still sick? Is that baby less welcomed, less dreamed for, less loved? Like all new parents, I hoped for a healthy baby. I was (and am often still) devastated, as was every other parent I know whose child has been diagnosed with a life-threatening condition. We did not know about her tumor before she was two months old, and I am eternally grateful for that. I had two glorious months of getting to know her, learning to care for her, and falling in love with her that shaped and fueled the fight for her life. I can't say what I would have done if I had found out about the tumor before she was born, but I hope I would not have given up on her before I even gave her a chance (and everyone's decision in this area is their own - I'm not saying mine is the right answer, but it is my own). A few doctors refused to give her a chance, and I will always be resentful toward them, no matter how much evidence they had for their opinions. They were just plain wrong. If I had given birth to a healthy baby, I would never have had Scarlett. Her goofy smile, her sweet little snuggles into my neck, her voice calling for me...I would have missed all of that. Sure, it may have been an easier road - for her and us - but to a completely different child. All of the nurses, doctors, time in the hospital and that we got to stay home with her have shaped who she is, and the bond between our family. I will never regret that. I would have loved a healthy baby, and I hope that we can keep working on getting Scarlett as close to healthy as she can be. But babies with illnesses, disabilities, and anything not "healthy" are just as magical, just as special and just as valued. Their parents are just as proud (if not more - we worked hard for that new milestone!) and just as amazed by their new developments, as minor as they may seem. I wish that every baby could be healthy, but I know that being "healthy" is not the only thing to celebrate. I love the last pic of her! Something about your blog does crazy things to my eyes, lol. I've resulted to copy/pasting it to word pad, it must be the black/white, i'm not sure but I see crazy zig zags/feel like i'm getting a pre-migraine aura everytime I read lol. And as for people saying, "i dont care as long as it's healthy," After two high-risk pregnancies, and two special needs kids (medically complex..) that has to be one of the most irritating things I hear on a regular basis. I like you, want to know what they would do if they didn't have a healthy child. It irks me. The things people say when they have no clue everything that can go wrong. She is beautiful! She is also an amazing gift that you have/should cherish everyday. I have followed her progress since she was born (BBC July 2010 member) and I have been amazed at how the Lord has helped you all to help her. Her story is awesome and again, she is beautiful! Happy Birthday Scarlett! I would have to completely agree with you. I have twins... one 'normal' and one special needs (heart defects) he's have four open heart surgeries. We knew before they were born that he had a problem, but we choose to fight. I don't know where we would be had we not given him that chance. We'd be missing out on a log of really awesome stuff. I have followed your story for a long time, you do not know me but, you and your daughter inspire me!! I wanted to post because this is post really moved me, you are a wonderful Mom who always has and always will do the best for her daughter. Not sure what my point is other then, thank you for sharing so much of your life and please know your love for your daughter encourages me to love mine even more intensely.....I send you all the positive light and energy I have!! Brandi you could not have been more eloquent than this. This post is something that parents from all walks of parenthood should read. I have read and re-read this, emailed it to people and bookmarked it for future use. Thank you! My daughter is only a couple of months older than Scarlett and I started following your blog back when Scarlett had her first surgery to remove the tumour. Your little girl rocks and I think of her a lot. When I was pregnant with my daughter, they found an abnormal ultrasound finding at 19 weeks gestation which can be an indicator for cystic fibrosis, down syndrome, CMV infection or just general fetal demise. We were stunned and scared but there was never any question of soldiering on. The specialists we dealt with looked at me like I was nuts when I refused the amnio but I didn't want to risk her life, even if the chances of something going wrong with an amnio were small. At the end of the day, I loved her from the minute I knew she was there and would defend her with my life from that point onwards. We got off easy and she is thankfully "healthy" but I like to think that had that not been the case, I would have championed for her as you have done for Scarlett. I have a friend whose perfectly healthy daughter at birth had a series of devastating seizures at six months of age and will be developmentally and mentally delayed for the rest of her life. That child is loved beyond measure and they would not trade her for the world. To use a corny quote, life is like a box of chocolates, you never know what you're gonna get. It's how we roll with it that dictates the depth of experience that our lives will achieve. I LOVE LOVE LOVE this post. My son is just a few weeks older than Scarlett and we have been following since you origionally posted about her on Baby Center. I to used to say the same thing about dreaming of a healthy baby though I knew in my heart if I had a baby with needs that he/she would be just as welcome to us we never had any prenatal testing for syndroms and such. I have three children but the one that is the same age as Scarlett has a birth defect. I cherish him just as much as my other children! I follow other blogs of children who are sick and I very much believe that God gives children who have more needs to mothers who will do what is best for them. Each of the ones I follow tell stories of others who said they should have aborted their babies. Thankfully God gave those babies to mothers who are given them a fighting chance at life. Thank you for this post. I think it should be a must read for all mothers! I've read your blog for a long time and rarely comment, but I needed to after reading this. It's a fantastic post. I think those of us that "know" Scarlett through this blog know how lucky you are. And how lucky she is to have found such perfect parents. Bottom line, she's yours...she's perfectly yours and whether you'd known that she was going to have health problems or not can't change the now. People are strange sometimes and like you said, she was just trying to make a "medical/baby" connection... while it ended up being a very weird thing to say she probably didnt know what else to say and hopefully she realized that it was off color. Scarlett is beautiful! My daughter was born in the same month/year. Beautiful words Brandi. Sending my love as always. Happy Birthday Scarlett! She's beautiful! I've often said to myself "Boy or girl doesn't matter as long as it's healthy," but I'm not sure I mean it. I truly intend to say "Boy or girl - come what may." But, could I offer a new interpretation to your story? It's the only one that I can come up that doesn't lead to doom and gloom. Perhaps, in the most inelegant way possible, she was praising the courage and strength shared by you and your husband. 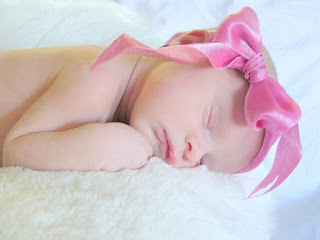 She essentially said that she couldn't handle such a sick baby and, perhaps, she is simply amazed that you can. Regardless, it doesn't matter. These are all such personal decisions. Happy Birthday, Miss Scarlett! I appreciate you sharing. It must be difficult to give answers and hold conversations. I love your loving attitude, patience and understanding of how others must feel. That is a gift from God. I believe all babies deserve a chance at life. After all God created them, knit them together in the womb and knew them. Scarlett has a purpose and a plan. She is special and love deeply by God. His plans are to prosper her not to hurt her. Jeremiah 28:11 For I know the plans I have for you," declares the Lord, "plans to prosper you and not to harm you, plans to give you hope and a future. She is a blessing and a gift! Praying you will be able to give an answer to those who are lost and confused. I used to say to that "pink/blue" question that we didn't care, as long as it's happy. It seems as though we both got this. I remember reading from the beginning on BBC that you had a happy baby, I think above and beyond everything else, a happy baby is the most important. i really love this post. wish there was a like button. warmed my heart. This is a truly beautiful post. And that last picture of Scarlett, just beautiful, I have no other words. I would like to think that the meaning behind her comment was that you are a much stronger person than she. That was my thought the second I read the comment. People say the dumbest things when they don't know what to say, and never realize it's best to say nothing at all. There's certainly no way someone could look at that strong, beautiful little girl you have and think she'd be better off had she never been born. What a beautiful post and spoken from the true core of a Mother's Heart. You are absolutely right. Parenting has no guarantees - we are not guaranteed an easy road, healthy baby or challenge free journeys. Scarlett is very lucky to have been given the mom that she has. Your love, hope & determination are her protection. May God continue to bless your family now and always. Happy Birthday Scarlett! I hope you had a wonderful day with your fmaily and I wish you a third year filled with blessings. Brandi, thank you for this post! So many "parents" don't realize the "perfect baby" does't exist. Each baby has his/her own abilities and challenges, talents and struggles. Perfection is unobtainable. There are no perfect parents either. We all second guess ourselves at least occasionally. My son and DIL are expecting a baby girl in Dec. 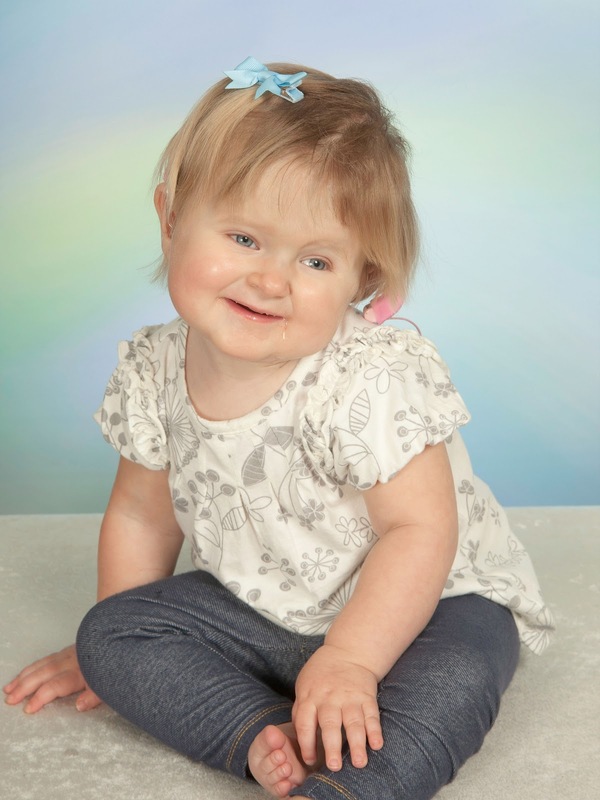 They have been told there is a chance little Emma Rea has Turner Syndrome. My DIL refused the amnio because it has risks and would not change anything. We are all ready if Emma has any special needs and will rejoice if, as we believe, she is "normal". I continue to pray for Scarlett. I love this post. I totally understand your view. My children are healthy, and I thanks God for that every day, but my little brother was born with severe cerebral palsy. He had a tough life and lost his battle four years ago. I have always admired my mom for her strength in the countless health issues that arose. And now that he is gone (today is his birthday actually), he is so missed. He couldn't communicate or do anything for himself but to us, he could communicate in his own way and he was so happy even faced with so much! When I was pregnant with my kiddos, they asked if we wanted to do all the screening tests and what not. We told them "no way!" Not only is there a risk of miscarriage, we felt it wouldn't change a thing. We would love our babies whether they were born healthy or with some sort of condition. I think it is is a little selfish of parents to terminate a pregnancy based on the testing and stuff! As your blog and life story has clearly shown, love has no bounds! You love your little girl no matter what! She, and all children, are an amazing gift! God bless you for being so strong and full of love!!! The babies are very cute! I'm pretty sure that the parents of those babies throw a baby shower party for them.